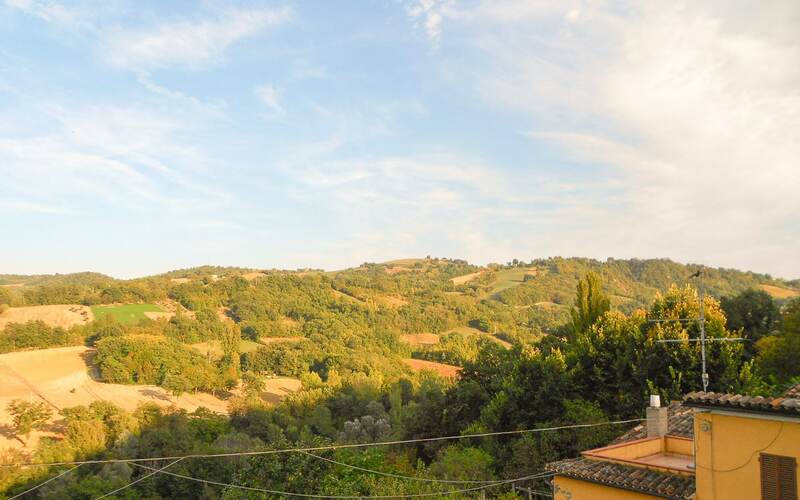 A freestanding townhouse, located in a small hamlet located at the foot of the Monti Sibillini Park, between the medieval hilltop towns of San Ginesio and Sarnano. 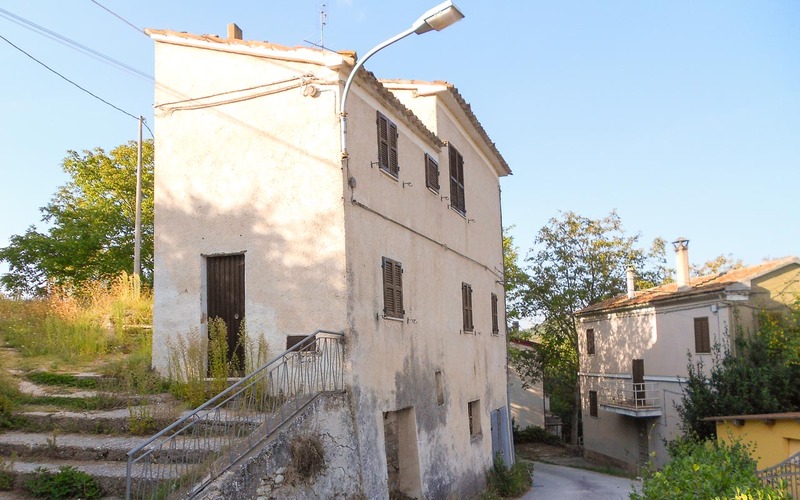 The total floor space is circa 185m2 divided over two levels plus in the basement a cantina (formerly a bar) which could be a used as a garage. The living area includes entrance-kitchen, large dining area, laundry room, two fireplaces, one bedroom and bathroom. 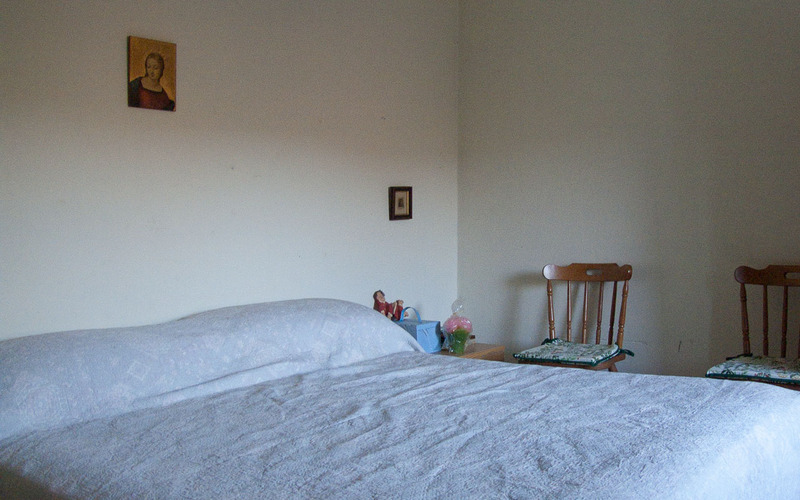 The sleeping area on the second floor consists of two or, after some adjustments, three bedrooms. One bedroom has is with an en-suite bathroom. 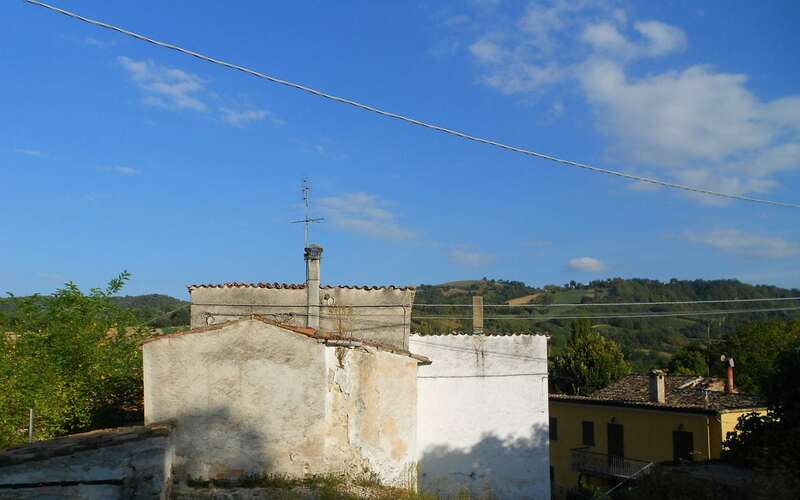 The property enjoys a good panorama of the surrounding countryside, is oriented to the southeast and has reasonable good insolation. 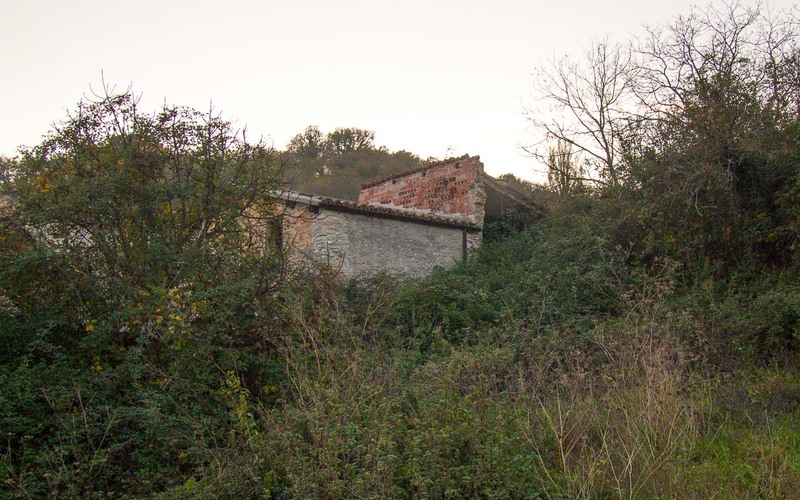 The property includes a small plot near the house of circa 240m2 with two outbuildings with a total, additional, 32m2 and with some walnut trees. In addition, included in the asking price, there is another cultivatable plot, further away in the mountains, of circa 4000m2. 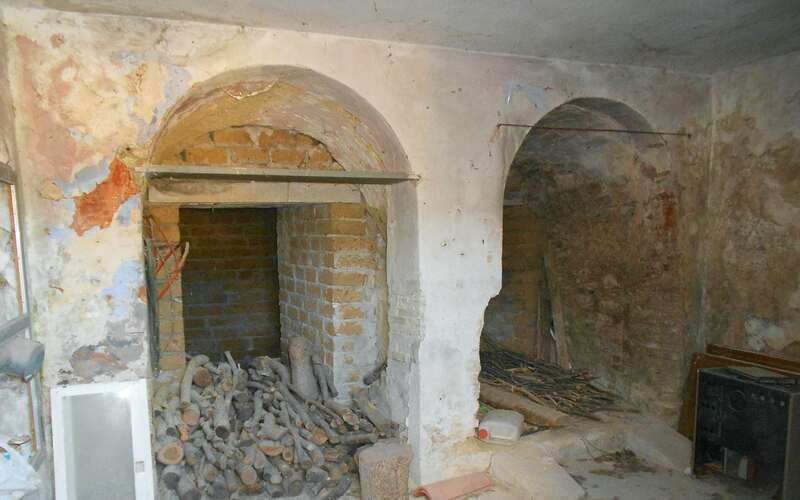 At present, the house is in a reasonable condition. A portion of the roof needs to be repaired and a part of the outer wall. The services are all attached and in good working order. Therefore, the house is immediately habitable. Some windows are already with double-glazing. 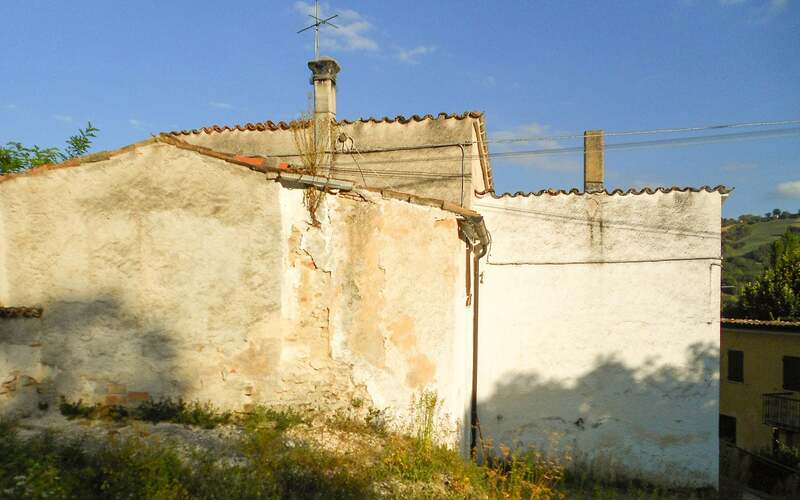 The building has excellent potential for restyling, ideal for those who love the mountains and hiking.